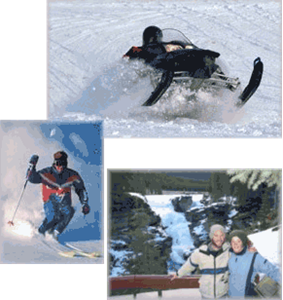 The Drayton Valley Ski Hill offers downhill skiing and snowboarding. With a T-Bar and 2 tow ropes, rentals and a fully stocked clubhouse, the ski hill is a buzz of activity on winter days. Coming in the winter 2015 is a new downhill tube run. The Pembina Nordic Ski Club is situated along a plateau overlooking the North Saskatchewan River & the Town of Drayton Valley. With a rustic log chalet and firepit, the active Nordic Ski Club invite you to join along. In the summer months, the Pembina Nordic Ski Club hosts a variety of nature activities, including birdwalks and nature courses. The Brazeau Snowmobile Club Trails are operated by the Brazeau Snowmobile Club. The staging area boasts scenic groomed 40 & 80 mile loops crossing the Pembina River. The club hosts a number of annual events including grass and snow drags, a Santa’s Anonymous run in December, Poker Rallies and a Family Day ride.